The triangular shape of Empro’s pencil tip, which makes it easy to draw a thick line for the first half of the eyebrow, while the thinner tip creates the thin line towards the outer half of the brow. 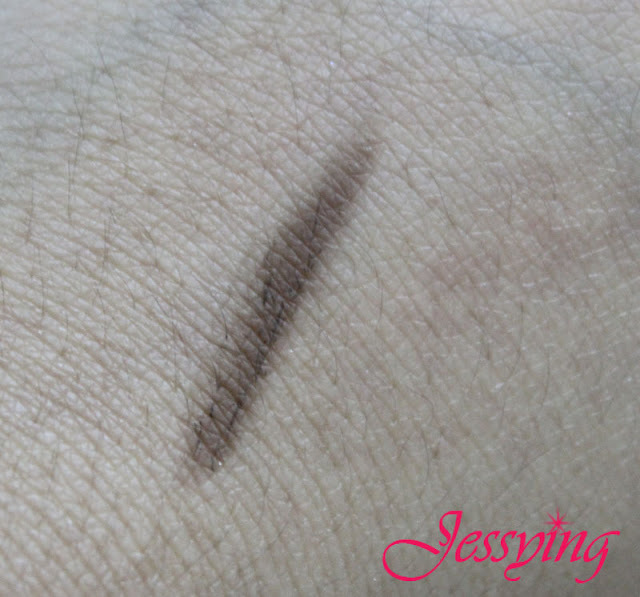 This Triangular Eyebrow Pencil has a brow brush for user to even the colour shade on the brow. It is long lasting, this revolutionary eyebrow pencil does not need re-sharpening and does not break easily like conventional eyebrow pencils. This translates into less wastage and big savings. The innovative triangular tip ensures that users get perfect brows in 2 easy steps. The unique design of the triangular tip is very easy to control when drawing from front to tail in order to give you a natural eyebrow. Even those who lack experience in drawing eyebrows will find that its easy application yields perfect results every time. Empro Triangular Eyebrow Pencil is made of 100 % natural ingredients and is suitable for all skin types: dry, oily, sensitive and combination. It comes in five attractive shades: brown, natural brown, golden brown, blonde and natural grey. Each shade could draw up to 3 tones and it is suitable for all women, young and mature. Empro Triangular Eyebrow Pencil is one of the top 10 best selling item in Sasa. This eyebrow pencil won the Best Eyebrow Pencil Award from Watsons and it also won the Best Colour Shade Award from Cosmopolitan magazine. This Triangular Eyebrow Auto Pencil is the 2nd generation of Empro eyebrow pencil. The reason why is it called triangular eyebrow pencil is obviously because the shape of the lead is of triangular shape. 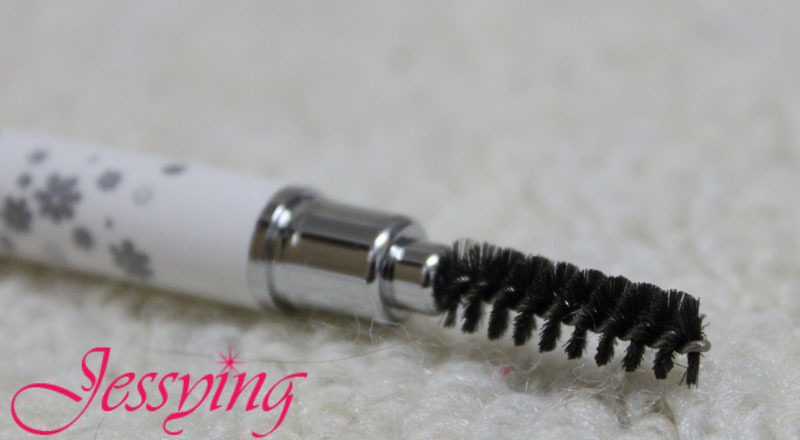 This is also an auto twist out eyebrow pencil , which save the effort of needing to sharp it. On the other end of the lead is the brush , where it is used to comb our eyebrow to blend and even up the color after application. And I do like this brush because it helps to lighten and even up my eyebrow color after I applied too much. Read further down to find out more. The lead is softer compare to Empro 1st generation eyebrow Slim Cut Dual Lead Brow Auto Pencil. I just do one stroke of the swatch and can get the intensity of the color above. And the color that I got is e3 Golden Brown and suit my eyebrow color perfectly. 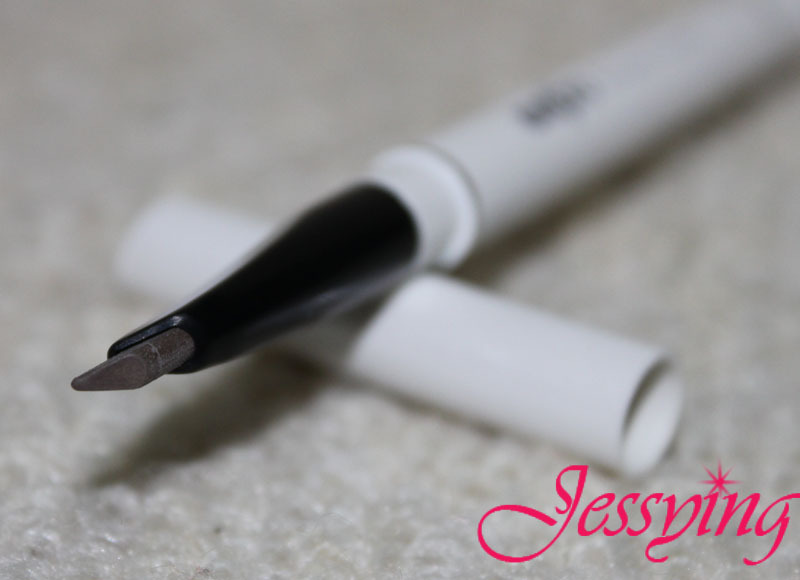 I followed the instruction stated on the product box i.e start applying the inner corner of the brow using the thick lead and lightly stroke upwards to the highest part of the arch. Then use the thin lead to stroke from the arch to outer corner of my brow. As you can see on the above picture, I applied too much eyebrow color until it looked unnatural and fierce. The eyebrow here look more natural right ? Because I used the brush to comb my eyebrow to tone down and even up the color here. Price of Empro Triangular Eyebrow Auto Pencil : RM38.80/each and it is available at Watsons, Sasa and Empro outlets. Note : The above product is provided by Empro Malaysia for review purposes. Just bought this and love it too! 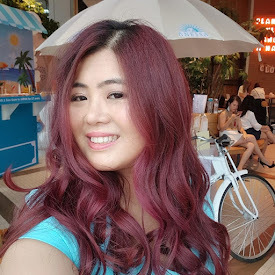 Cherry Lover : yeh good product ! ooo seems like a good buy...will try this soon..btw I luv the biore eye makeup remover. No longer make my eye tear!